The first dare is to change your holiday ideas. There is more to holidays than booking a hotel on land. Alternative choices that offer more out of your vacation time away from home. Such as? Well dare to delight yourself, family or friends with an incredible journey at sea with a Blue cruise from Turkey. The whole holiday concept begins with a choice in what part of Southern Turkey you are interested in seeing. With a Mediterranean coastline that stretches nearly 1600 km, there are many exciting destinations to choose for your blue cruise itinerary. But of course, a popular part of the Mediterranean is actually chosen for blue cruises, that go all the way to the Aegean sea. Turkey boasts a fantastic Aegean coastline, the southern part of which is excellent to combine with your Mediterranean boat holiday. After choosing an itinerary, it’s time to think about your boat charter. 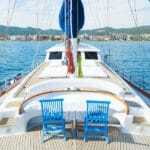 Blue cruise holidays in Turkey are meant to be traveled on board a Turkish gulet. It’s the gulet that is what partially makes this impressive holiday concept original, traditional and quite ‘Turkish’ in culture and history. If you are not quite familiar with gulets, they are classic wooden boats with sails; dating back a few decades from the city of Bodrum – where they first originated. 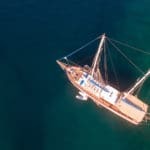 There is a history that goes along with gulet blue cruises. 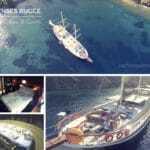 Since that time, gulets and gulet tourism has developed into a major holiday style and popular choice by many travelers from around the globe. Gulets come in all different sizes, such as boutique boats with 2 to 4 cabins, and extend as long as 56 meters (known-to-date). Some are built with one mast, two masts or three masts. However the standard is usually two. While some gulets will have all sails, others will only have one to three sails and/or a genoa. The first time you step on board a Turkish gulet, depending on its size of course (30 meters +), can be an overwhelming feeling. These superb Turkish yachts are wide and beamy, heavy set and stable, and can make you feel so small in relation to the width and length. It’s as though you aren’t really on the water, as that is how still, some of these gulets float in the sea. The delights are in abundance with blue cruises. From the spectacular destinations to the tasty Turkish cuisine, warm and friendly crews and everything in between. To understand and feel all these wonderful moments, not all words can describe, is to actually embark on a blue cruise journey and live the experience as it happens each day. 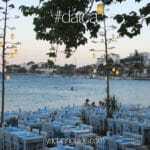 There is a different sunset for every dinner, where all of the many savory dishes cooked fresh with meats, poultry, seafood, salads, vegetables, fruits and more are prepared and spread across a large wooden varnished table. The sunrises tempt you to just jump in and wake up to a new day, everyday. The sun-filled mornings increase your appetite for a colorful breakfast filled with many traditional breakfast dishes from the Turkish kitchen. Lunch time is a brief pastime since it falls into the middle of the day. During that time you are more inclined to either go back into the refreshing waters of the sea, venture on to land and see the sights or laze about on the wide open deck and soak up the Mediterranean sun. A gulet cruise holiday is meant to be fun, relaxing, rejuvenating, blissful, or any way you feel like being. 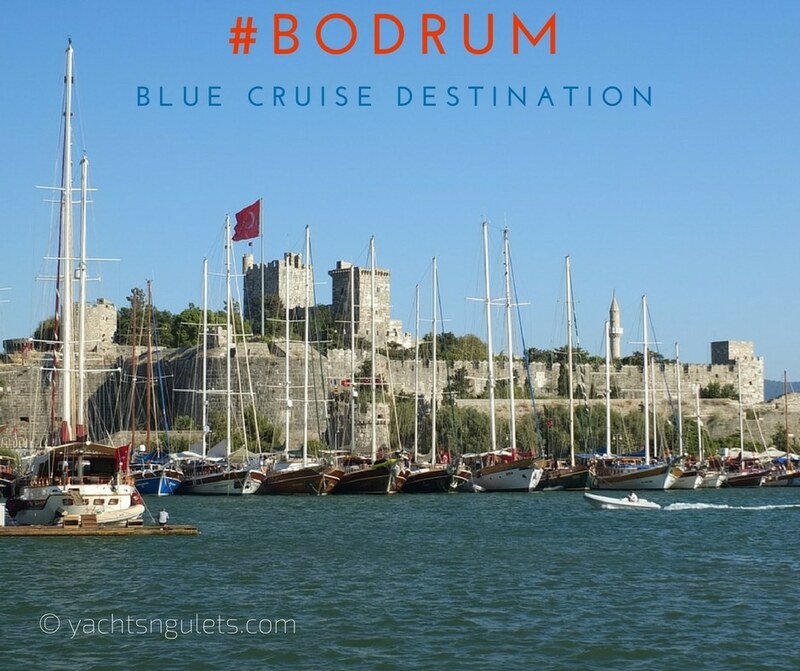 So dare to be delighted on a blue cruise travel from Turkey – to later return for another round, the following season!